Do you need help drafting a Last Will and Testament that will leave behind instructions on how you want your property distributed after you pass away? I can certainly help you with that. It is very important that you have a valid Will and that you keep it updated with your current wishes. Do you have a Will that was drafted somewhere other than Texas??? If so, you should have a Texas attorney review it to make sure it will be valid in Texas and to make sure your Will that was drafted and executed somewhere other than in Texas can take advantage of Texas law that simplifies the probate process. Making sure that you have a valid up to date Will can save your loved ones lots of time, reduce their legal costs after your death, and avoid many problems after you pass away. Leaving a valid Will behind will make it much easier and cheaper for your loved ones to take control of your assets after you die. Did you know that the State of Texas has a disposition plan to distribute all of your assets in the event that you do not leave behind a valid Will? Since every family is different, you can bet that your specific wishes do not exactly match what the State of Texas has set up for those who die without a valid Will. Did you know that you can make plans in a Last Will and Testament for the guardianship of your minor children in the event that you die before all of your children turn 18? If you are the only surviving parent, you can choose who you want to raise your children (subject to later court approval) and you can set aside assets for their education, food, shelter, and housing and any other possible needs that your children might have after you pass away. Even if you and the other parent are both alive (whether married or not), you should take advantage of the opportunity to name a future potential guardian for your children in case both parents die in a common accident or disaster. Taking care of this in a Will reduces or eliminates many possible family arguments (and expensive legal battles) over who gets to raise your children in the event that you are not around to personally tell a judge who you want raising your children since you cannot do it yourself. 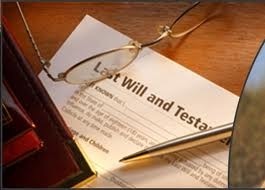 One other major thing that you normally do in a Will is to name who you want to be the Executor of your Estate. You can name your spouse, a trusted family member or a close friend to be the one who works with your probate attorney to move your Estate through the probate process to take care of gathering and protecting your assets, paying your just debts and seeing to it that your assets go to the beneficiaries that you name in your Will. In order to save money for your estate, you can even request that the Executor serve without the need for posting a bond. Probate. The word "probate" has some really negative implications in the minds of many people who do not understand how simple the Texas probate process can be if you have made the appropriate plans to dispose of your property after you die. The best way to ensure that the probate process will go smoothly after you pass away is to make sure that you have a valid up to date Will drafted by a Texas attorney. If you have a valid Will that you keep updated when there are changes in your family (marriage, divorce, new child or children, deaths of family members, deaths of potential beneficiaries, etc. ), then the Texas probate process is usually a simple matter of filing an application to probate your Will, filing the original of the Will along with a death certificate and the application to admit your Will to probate, getting a judge to declare that the Will is in fact your Last Will and Testament, getting a judge to issue Letters Testamentary to your Executor, publishing a Notice to Creditors in a local newspaper, having the Executor file an inventory of your assets and your debts, and then having the Executor distribute your assets in accordance with your wishes as stated in your Last Will and Testament. 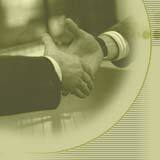 If you have a friend or loved one who has died without leaving a Will, then I can also help you probate the estate. This process is a little more complicated because a judge has to satisfy himself that all of your lawful heirs have been identified and located. 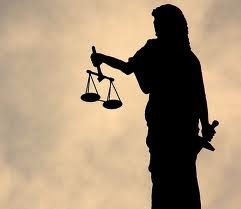 An attorney ad litem is usually appointed to investigate the possibility of unknown heirs, some disinterested witnesses are usually needed to testify about the family relationships (marriages, divorces, children) of the deceased person, and a bond may be required before an estate administrator is appointed. The Probate process without a Will is a little more complicated than probate with a Will, but it is certainly manageable and I can help you through the process. Feel free to call me at 512-869-0131 if you have questions. In Williamson County, the probate judge is currently Judge John McMaster in County Court at Law Number Four. In addition to a Last Will and Testament, I can also help you draft a durable power of attorney that will enable a person of your choosing to make decisions for you in the event that you are not able to act on your own behalf at some point in the future. I can also help you draw up a living will (also known as a directive to physicians) and a medical power of attorney that will let someone of your own choosing make medical decisions for you if you are not able to express your wishes at some point in the future. The real benefit of these documents is the peace of mind knowing that you have selected someone that you trust to make important decisions for you. This is much better than allowing some judge that you have never met to choose the people who get to make important decisions for you. It is important to understand that durable powers of attorney and medical powers of attorney are only valid while you are still alive. They are not valid after you pass away. 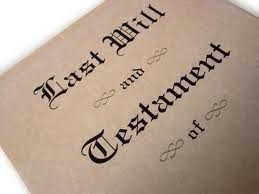 A Last Will and Testament is only valid after you pass away (and not while you are alive). 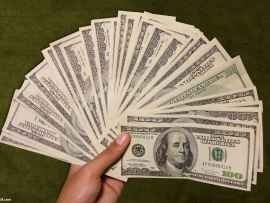 Whether or not you have a Will, you can save your loved ones a lot of time and money if you make sure that all of your beneficiary designations for your bank accounts (savings and checking accounts), credit union accounts, IRA's, 401(k)'s, pension plans, brokerage accounts, life insurance policies, etc. are current and up to date. If the beneficiary designation is up to date when you die, then all that the beneficiary needs to do when you die is to provide a death certificate in order to receive the account balance or the life insurance benefit. Anything that you own that has a valid, up to date beneficiary designation actually bypasses the probate process entirely. That means your beneficiary does not have to wait for the probate process to gain control of the asset. Of course, it is important that you inform your beneficiaries about the details of any assets that they are supposed to inherit upon your death. If you leave something to a spouse and then later get divorced from that spouse, make sure you update your Will and update all of your beneficiary designations immediately after you get divorced because Texas law (and the laws of most states) voids all bequests in a Will and all beneficiary designations to a spouse when you get divorced. 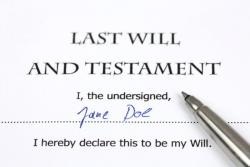 (If you still want to leave something to a former spouse after you get divorced, you need to execute the Will again or execute the beneficiary designation form again and simply state that you want to leave something to "my former wife, Jane Doe," or "my former husband, John Smith.") Call me if you have questions about this. If you have any questions about writing a Will, updating a Will, the Texas probate process, a durable power of attorney, a medical power of attorney, or a living will, please give me a call at 512-869-0131. I will be happy to speak to you about this on the phone or in my office. I can even make a house call to help you draft or update a Will if you cannot come to my office for some reason. Do your family a huge favor, do not put this off.